I have had this dramatic play center in the works for a while, and am so excited to finally have it up and listed in my shop! 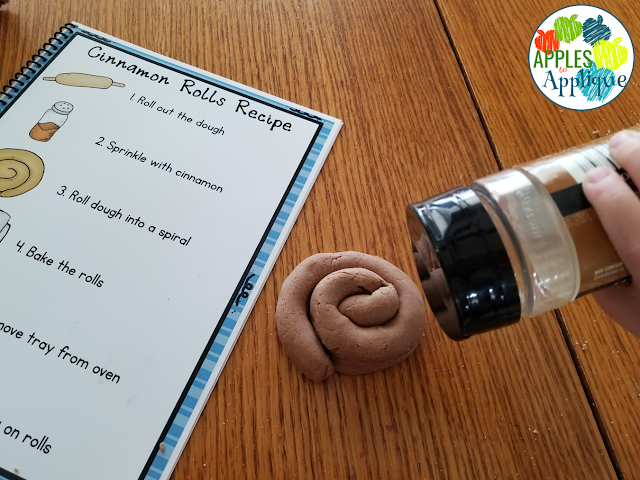 What kid doesn't love pretending to cook? The kitchen is always one of the most popular learning labs in my classroom. This bakery center is particularly awesome, because it can be used as-is, with play food, or you can really extend the fun by using it with play dough! 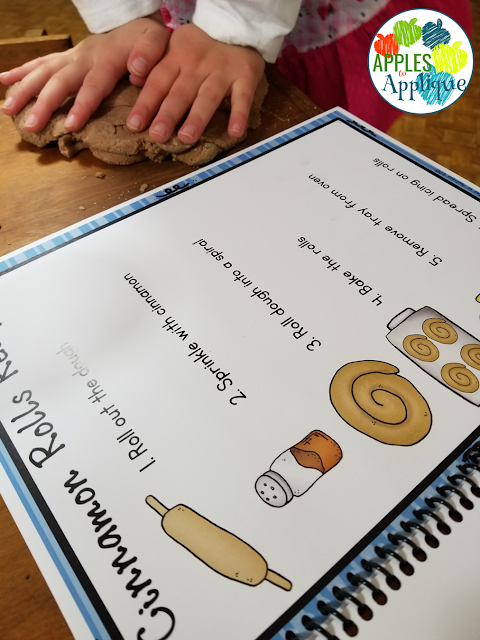 It includes recipes for kids to follow to make their favorite bakery treats; the recipes allow them to practice following step-by-step directions and simple how-to texts. Of course, there are pictures for each step to allow pre-readers to join in on the fun, or to provide scaffolding for emerging readers. 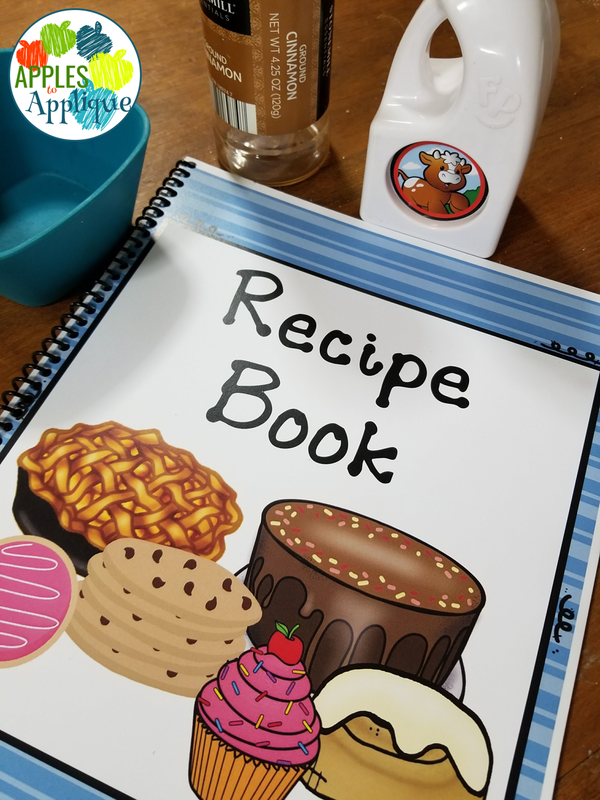 I bound the recipes together to create a cookbook, and it is just adorable! 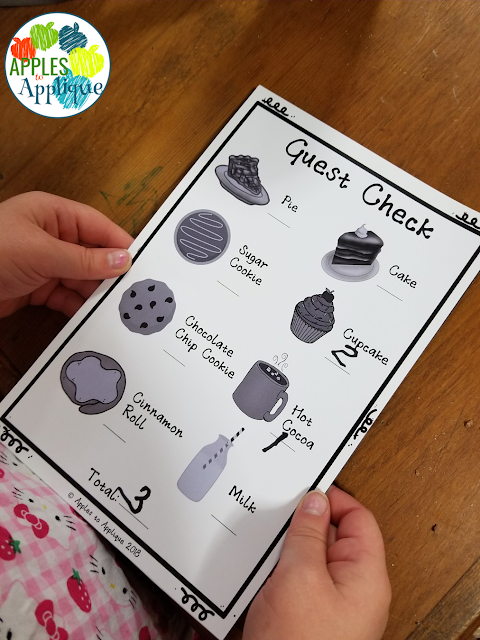 The menu, order pads, and guest checks allow for differentiation, as there are different options included. 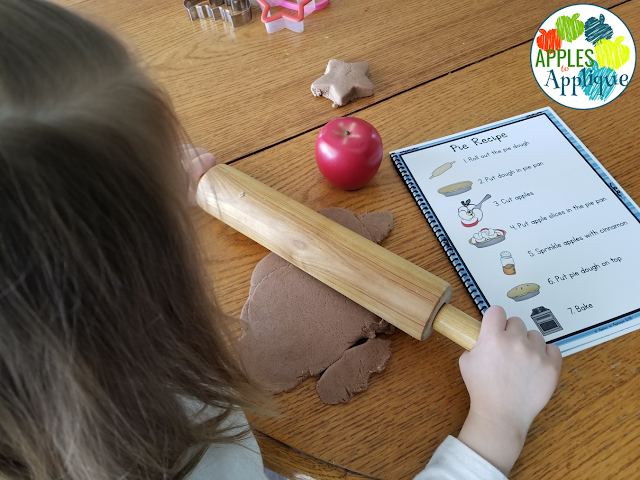 The menu is included with and without prices listed. The order pads use pictures only, which students can simply circle to indicate the customer's order. The guest checks include lines for students to write the price of items ordered and total them at the bottom, allowing for math practice through writing numerals and performing simple addition. 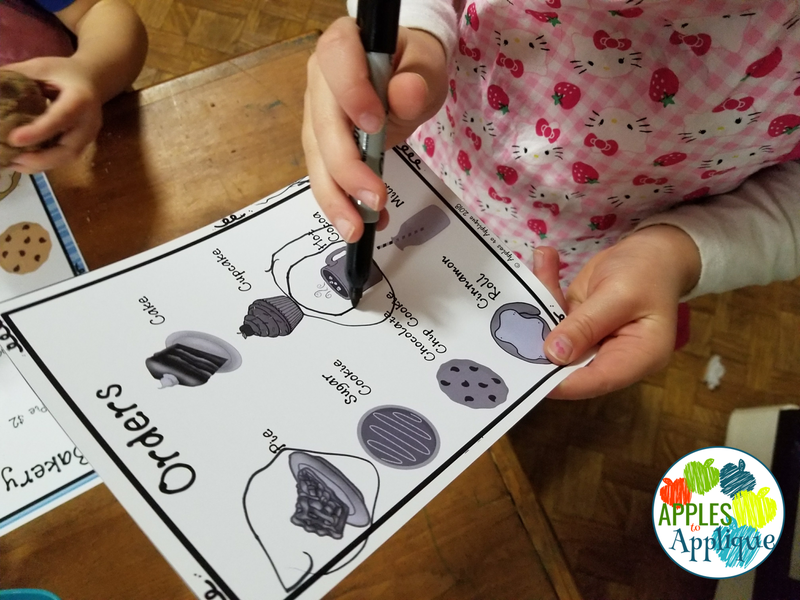 Both the ordering sheet and guest check include a full-color sheet, which can be laminated and used again and again with dry erase markers, and black and white half sheets, which are easy to copy and staple together to make ordering pads like they would see in an actual restaurant. 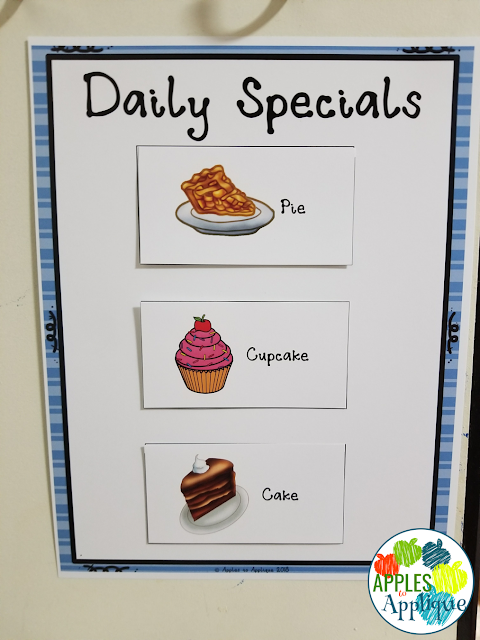 This set also includes a shop sign, open and closed signs, and a daily specials board with interchangeable pictures, as well as the menu, ordering pads, guest checks, and recipes. Watching kids engrossed in dramatic play is one of the cutest things in the world to me. I love how much they get to use language, and it's entertaining to see how they emulate the world around them. 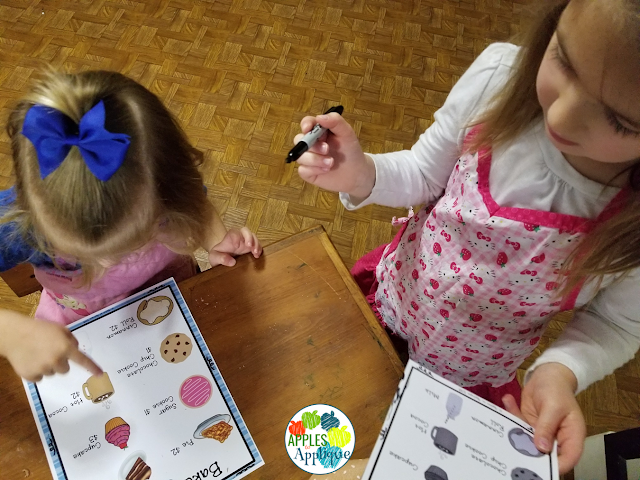 They notice so much more than they usually get credit for! 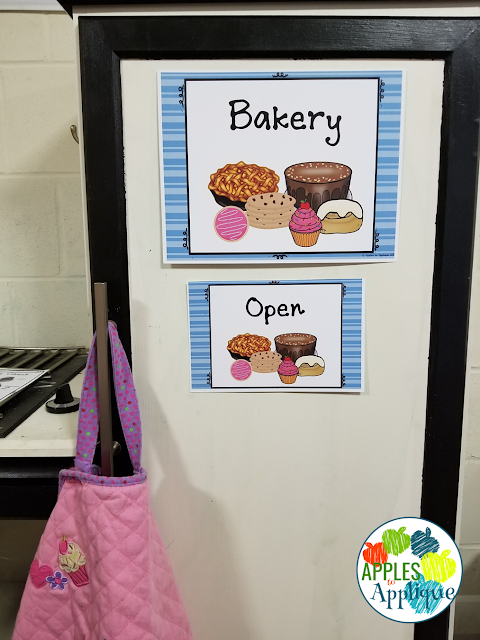 I hope you and your students love this new bakery dramatic play center! 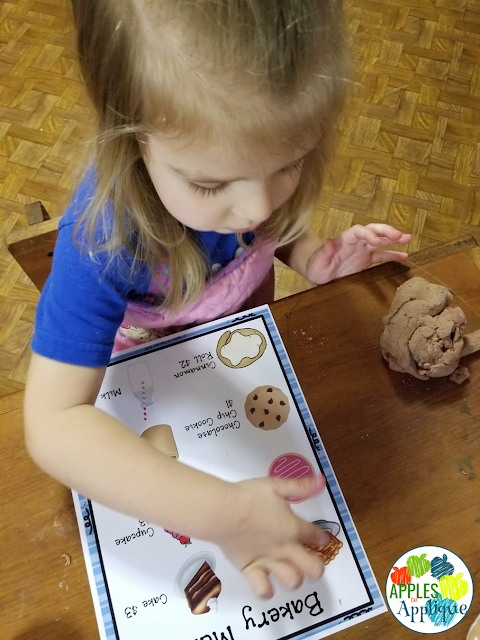 Get it here, and tell me about your favorite dramatic play centers in the comments!